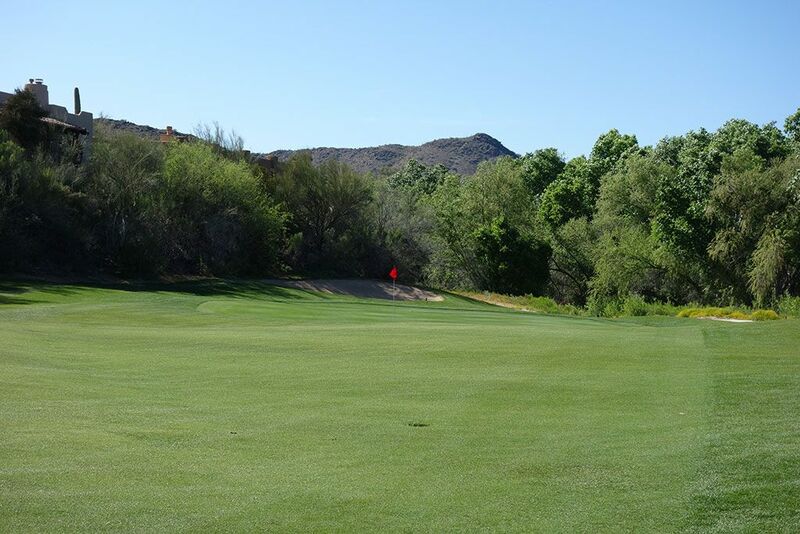 Course Website: Official Website - Visit Rancho Manana Golf Club's official website by clicking on the link provided. 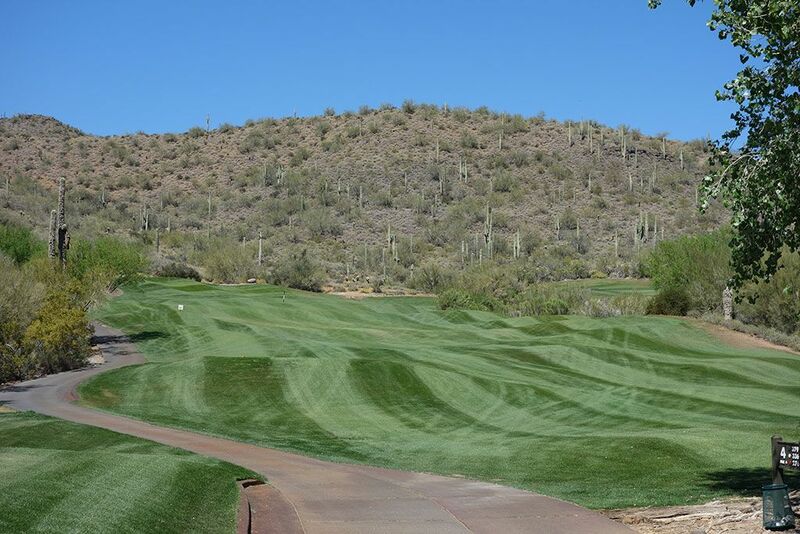 Accolades: Ranked 32nd in Arizona on Golf Course Gurus' Best in State list. 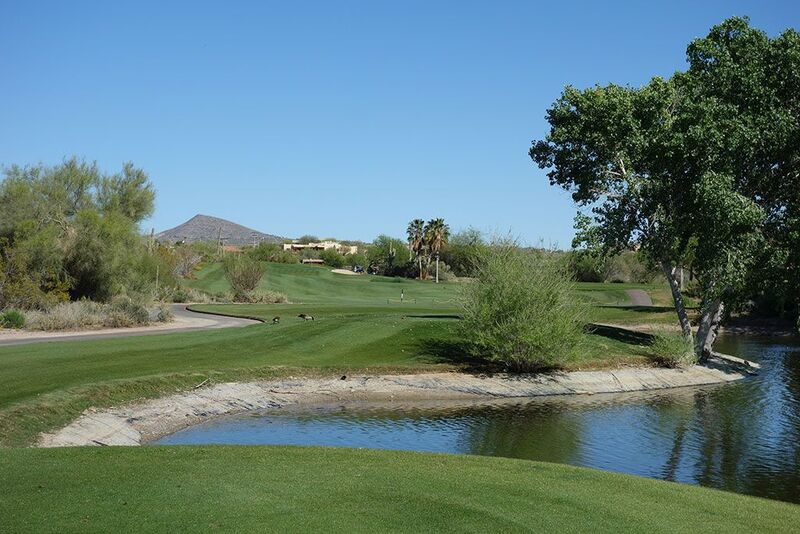 What to Expect: Rancho Manana is a shorter course located well north of Phoenix in the 1986 incorporated city of Cave Creek. While there isn't a lot of length, don't let that fool you into thinking it is easy. 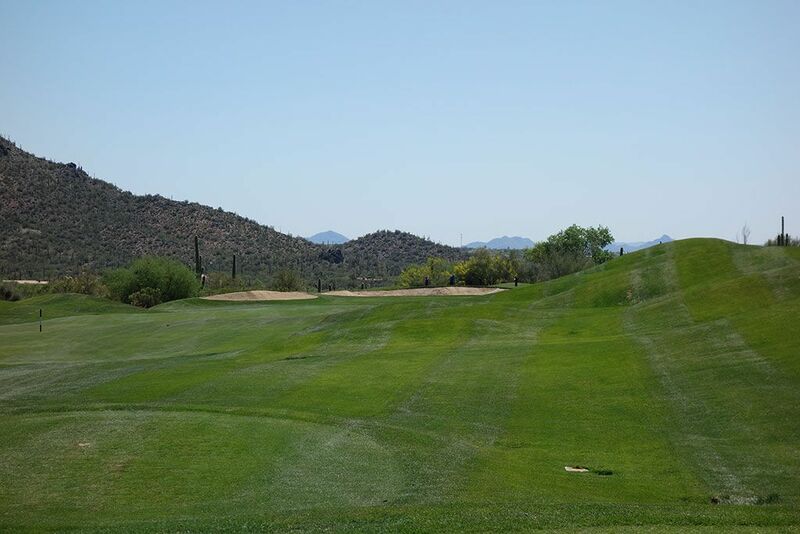 The track features tight fairways, a lot of elevation changes, and plenty of bunkering. The forward tees are just over 4400 yards which appeals to the older generation of golfers along with beginners. The conditioning is only slightly above average and is hampered by the number of geese living on the property, particularly on the back nine. 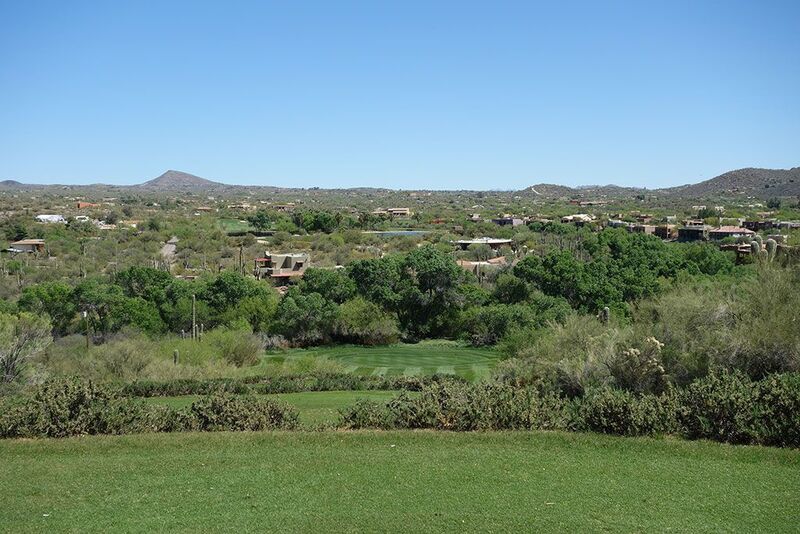 You will also want to take a cart when playing Rancho Manana to handle the elevation changes and distances found between some of the greens and tees. 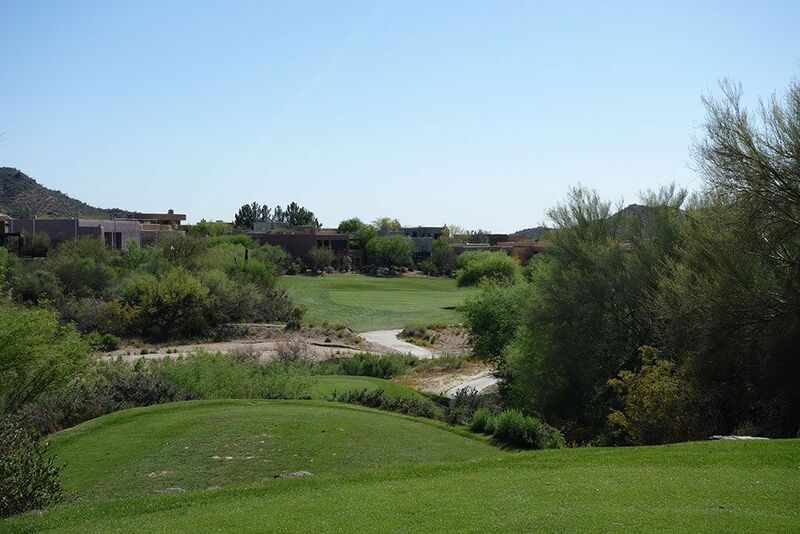 There are enough quirks in the layout that you'll want to take special note of the tips listed for each hole on the scorecard before making an uneducated decision on the tee or on an approach shot. Artificial mounding is found at various spots throughout the layout which I'm not a big fan of but was installed to help provide separation between some holes. Water comes into play a couple of times on the back nine and housing lines several of the holes throughout the track. Signature Hole: 7th Hole – 207 Yard Par 3 – A downhill par three that plays at least a club less to the green and features lengthy views. There is more grass to land on then what you see from the tee. Best Par 3: 9th Hole – 192 Yards – Yet another downhill par three where part of the green and landing areas are blind from the back tee. 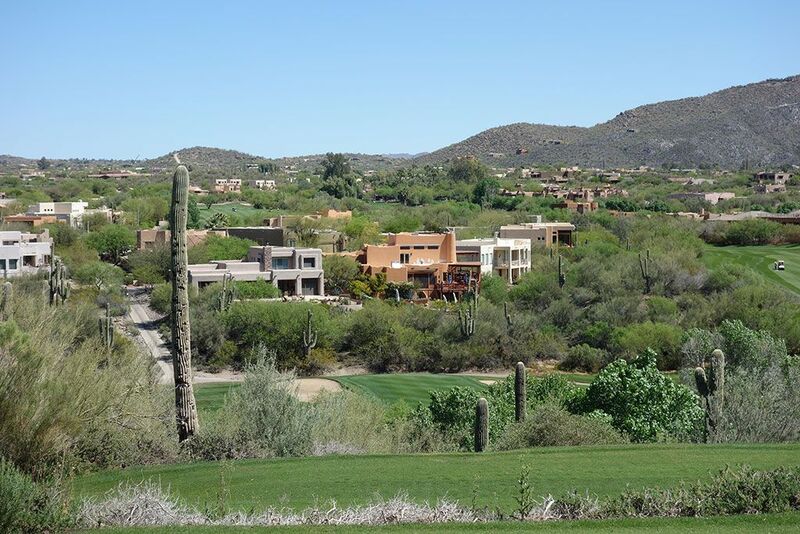 The saguaro cacti are a great reminder of the natural Arizona desert you are playing in. Best Par 4: 15th Hole – 377 Yards – This par four plays over a pond initially before turning left to a raised greensite. 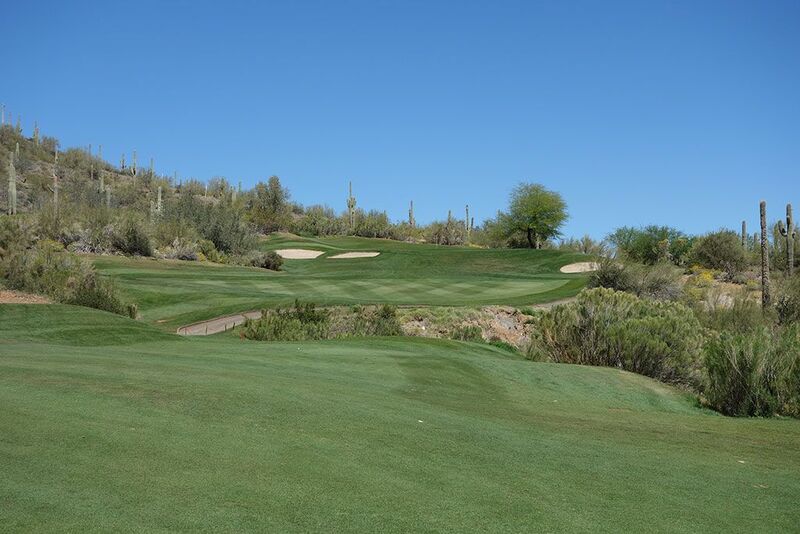 Best Par 5: 16th Hole – 508 Yards – A dogleg right that plays through a valley with homes framing the left side of the hole. Reaching this hole in two is well within reason, particularly if you cheat some yardage by challenging the dogleg. Birdie Time: 8th Hole – 272 Yard Par 4 – I've played par threes longer than this hole, so failing to take advantage of this short par four would be a significant failure on your scorecard. With little to worry about off the tee, take a rip at this green and see if you can capture a birdie, or even better, an eagle. Bogey Beware: 4th Hole – 379 Yard Par 4 – This dogleg right features the most demanding approach of the day by far. The second shot requires a forced carry over a ravine to a raised green with a steep slope fronting it and bunkers on either side. It is absolutely the most interesting hole on the course and equally challenging.